Multirent has been created for any kind of hiring-rental companies. 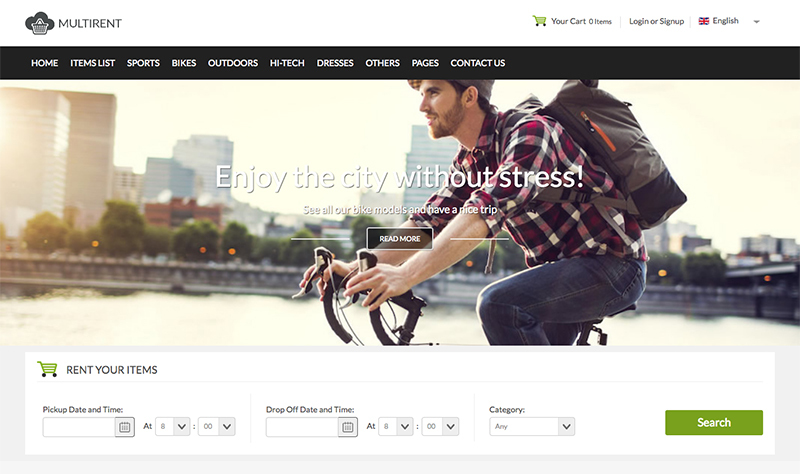 Everything perfectly setup to have a perfect rental website. 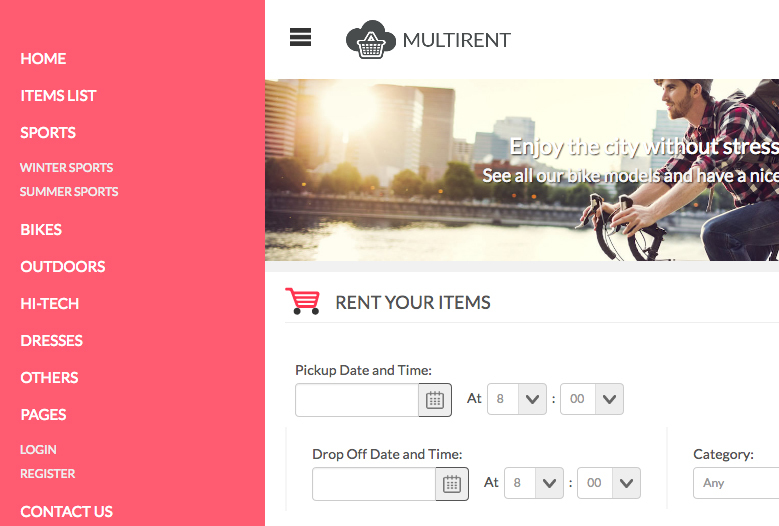 Multirent is fully compatible with our Vik Rent Items component and all its functionalities. The template does not include sample contents or quick start package. The template can be installed on any running Joomla website. Edit your business website color scheme as you like. Choose and enjoy one of five colours for your website. 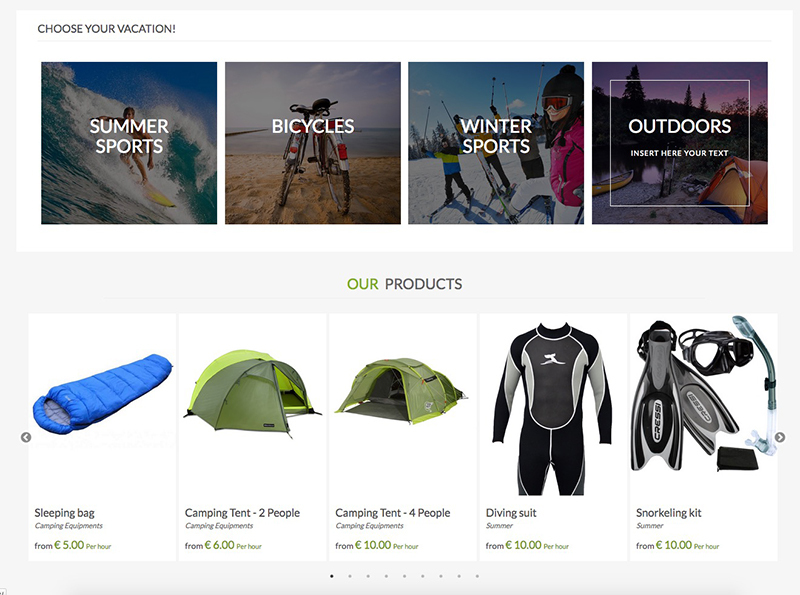 Our Vik Content Slider, it's an images slideshow for a better look of your Homepage. A Google Maps module where you can show to your customers your locations with different nice layouts for your map. 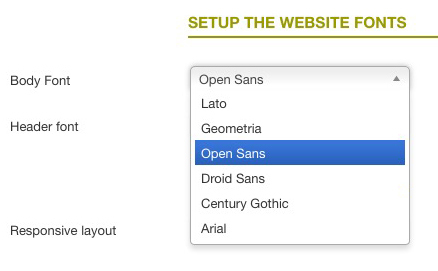 A module that use the Font Awesome Library with more then 600 categorized icons for your website. Use Vik Thumbnails to have mix images and information with cool effects. Make your website more beautiful with great typography with our collection of fonts. The Multirent template was built to fit with the Vik Rent Items component's requirements. Discover how the Vik Rent Items pages have been displayed with all the graphic details customized for this graphic template. 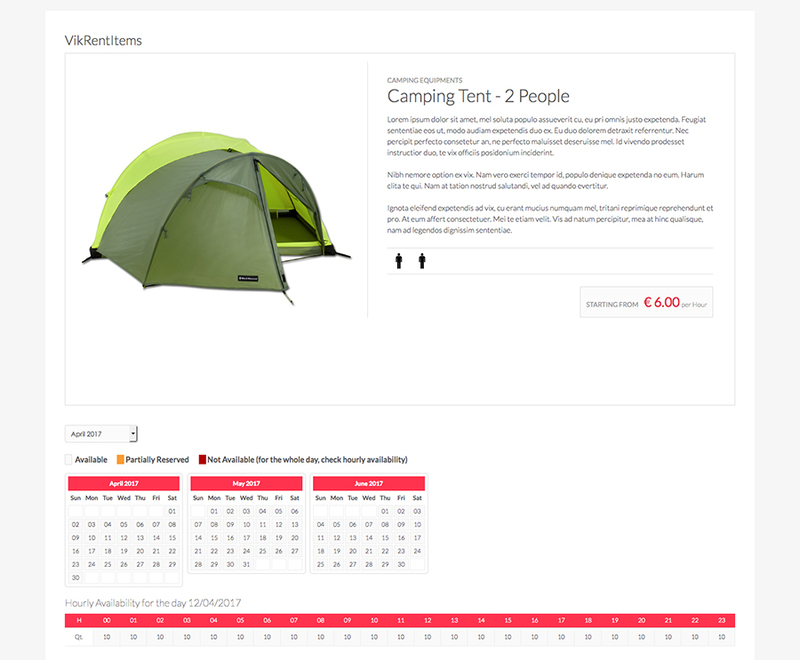 Check for example the Items list, Item details and Checkout page to have an idea of how your hiring-rental website will look like. 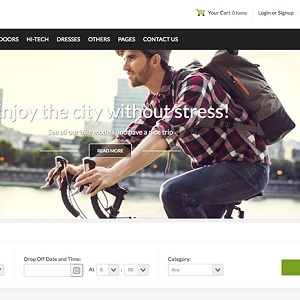 Multirent offers a clean menu design for your website.